During my surgical training I noticed a high prevalence of bladder problems in children. Coupled with a limited understanding, this common problem has a significant impact on the psychosocial wellbeing of the child as well as the family. As a paediatric surgeon, I am aware of the enormous difficulties faced by the patients, families and the health care teams dealing with complex surgical diseases in children. I decided to dedicate myself to research into urinary incontinence and complex surgical diseases in children. Through improved understanding and effective treatment strategies of bladder and complex surgical diseases in children, my dream is to enable these children and their families to lead a normal life. Dr Deshpande is a Fellow of the Royal Australasian College of Surgeons and works as a paediatric urological surgeon at John Hunter Children’s Hospital, Newcastle. He is also associated with the School of Medicine of Public Health, University of Newcastle, and has varied research interests closely related to his area of clinical expertise. These include complex surgical diseases in children and kidney disease in children. He has been awarded a PhD in the study of bladder disorders and urinary incontinence in children by the University of Sydney. His current research is structured around identifying the long-term impact of kidney diseases and complex surgical diseases on lung function of growing children. He is also involved in developing the highest quality of evidence for surgical treatments under the backing of the Cochrane collaboration. 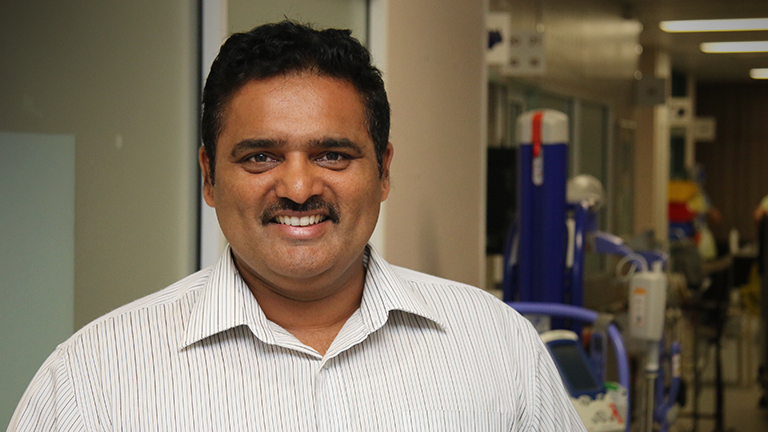 He is developing research protocols for understanding perspectives of parents of children with complex surgical diseases in the Hunter in order to improve the treatment and support strategies. He is a member of the ACI Collaborative Group of Urinary Incontinence in Children. ACI is the NSW Agency for Clinical Innovation and this working group is entrusted with evolving strategies for improved care of children suffering from urinary incontinence. Dr Deshpande has over 30 publications in peer reviewed journals and has supervised medical students doing research projects.